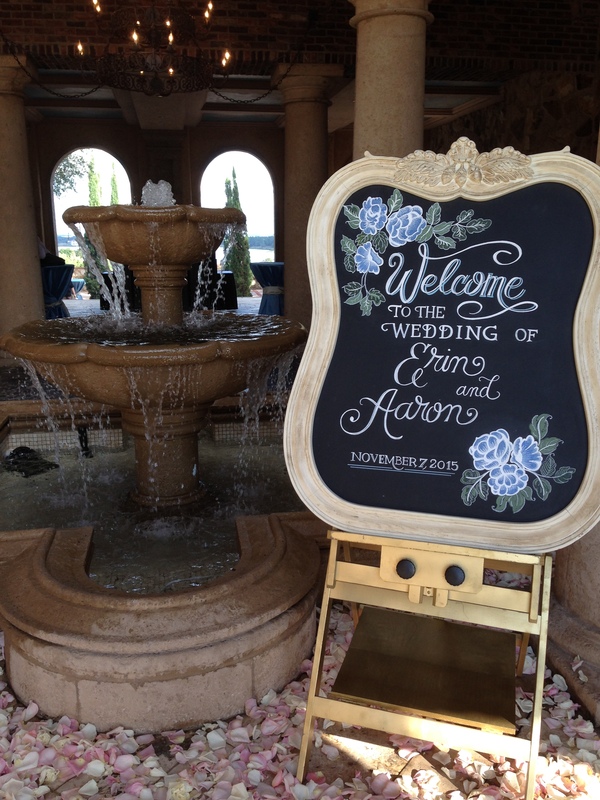 Last week Jeff and I were in Orlando for our nephew’s wedding. Usually when we take trips we drive, but since Orlando is a longer distance than we often travel, we opted to fly this time. We are not the most seasoned travelers, and the process of flying in a plane is still something of an adventure, to me at least. An adventure…and a mystery. Our whole week there became for me a metaphor about the ways we travel through life, and the ways life travels around us. Time really does fly. The nephew who got married, Aaron, was about 3 years old when Jeff and I got married, and now he is a grown man, a doctor, marrying a wife of his own and well-established in his chosen field. His older brother and best man, Clark, is Nephew Number One, older by about 3 and 1/2 years than Aaron, successful in his career and life, with a beautiful wife and 2 adorable little boys of his own. When Jeff and I got married, Clark was told that he could go on our honeymoon with us. He was a little peeved when he found out he was not going to the beach after all! How is it possible that these little squirts are all grown up?! But they are. And next June, Lord willing and knock wood, Jeff and I will celebrate our 30th wedding anniversary. Time flies. 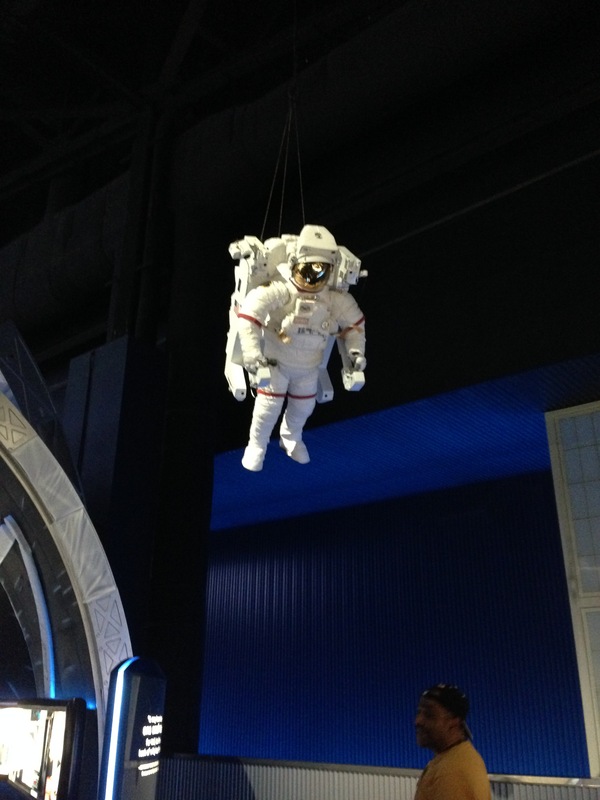 While we were in Orlando, we took a little drive over to see Kennedy Space Center. Talk about the mystery and wonders of flight! Jeff and I marveled at the sights, exhibits and history there. He said it may be his favorite day ever as a grown-up. It was awe-inspiring to see and learn about the history of space travel, and humbling to imagine the courage of the pioneers who took those first brave flights into the unknown reaches of space. Back down to Earth, we enjoyed lovely views of lake and sky from our resort condo balcony. 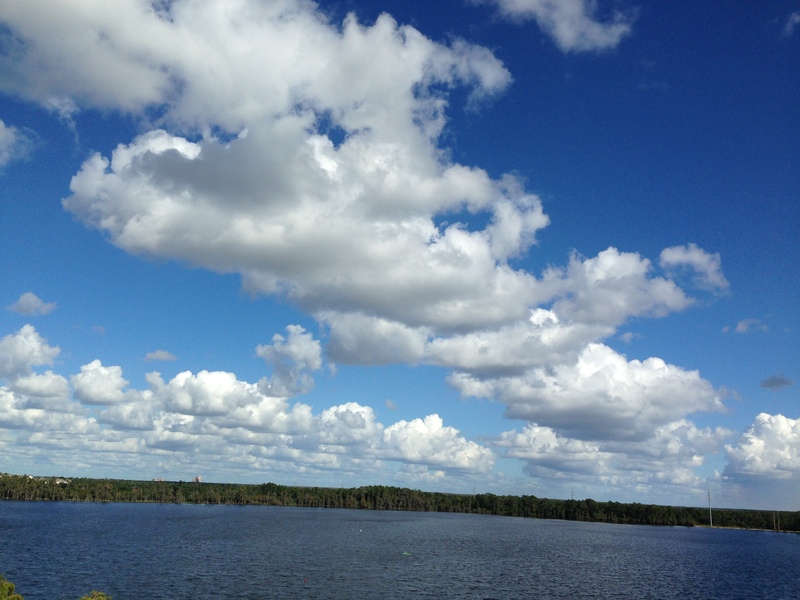 It struck me every day, sometimes from hour to hour, how big and puffy the clouds were there. I suppose it has something to do with the location and proximity to water, but the cloud formations were unusually beautiful, varying throughout the day. I spent a good deal of time on our balcony reading one of my favorite little books, “Intra Muros” by Rebecca Ruter Springer. It describes the author’s vision of Heaven during an extended illness. The fluffy clouds and Springer’s words made me think of Heaven and the reunions we will enjoy there, in the presence of God and those we love who have gone before us. Anyone who knows me (or follows this blog!) knows that I collect feathers. 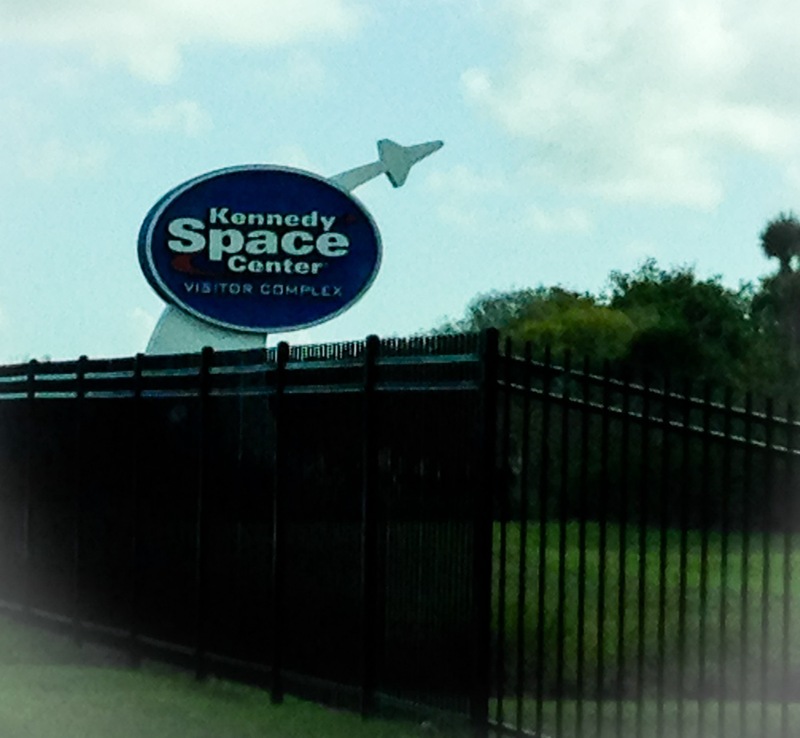 On our way into the visitor complex at Kennedy Space Center, I found one and tucked it safely inside my purse. What a treat to remember our trip by. On our way out of the complex, I found a second one, white and fluffy, much like the clouds I so enjoyed watching during our time away. How poignant that, after flying on a jet to Aaron’s wedding where he and his new wife will take wing into the future, on our way to see the history of mankind’s efforts to fly into space, God should send me feathers to remind me that He created the birds of the air, giving them the ability to fly, before He ever created Man in His own image. Gracious Lord, thank You for your many gifts of Flight—flight of birds and humans to places far away, the flight of time, our flight through life and into the future, and eventually into Heaven. This past Sunday, July 26, was the first anniversary of my friend Lola’s death. I have written about her several times here in Patchwork And Potpourri, sharing bits of my grief journey as I have tried to process her passing and make some sense of it. While I have not been able to accomplish the sense-making part, I have found amazing pieces of comfort and blessing along the way. Some months back, my church music director, Joan, planned an old-fashioned gospel singing (or as we in the South sometimes say, a “SANGIN'”!) for this date. I cut my teeth on many kinds of music, but old-timey hymns and gospel songs are like mother’s milk to me, so I naturally jumped on the bandwagon…and then I realized what day it was, becoming uncertain and unsettled as to whether I’d be up for this gathering on such a poignant anniversary. Oh, me of little faith! At this point I need to back up and recall last year. Lola had died on a Saturday, and I had committed some weeks before to sing a duet with my friend Marc the next day at our friend Greg’s church. Part of me feared a complete breakdown in the middle of the song…but my inner musician kicked in and soldiered on. Moments like these are when God works in ways that are beyond understanding, providing His strength in my weakness. We sang, our voices blending in that unique way that Marc and I always seem to achieve, God singing through us to speak to those gathered there, and ministering to my soul in the midst of such overwhelming sadness. Afterward we sat together behind the piano, and I began to cry silent, uncontrollable tears. Marc reached for my hand and mouthed, “What…?” and I mouthed back, “Lola died yesterday.” He had known all about her illness, prayed for her along with others I had asked to pray, and when I shared that she had died, he just held my hand and petted my arm. No more words were needed. The whole rest of last summer, God added feathers to my growing collection, signs of His eye upon the sparrow. I had started collecting them years before, but in the wake of Lola’s death, I started finding them eveywhere! Tons of feathers, showing up to remind me that she and my many loved ones in Heaven are all OK…and that I eventually would be OK, too. This past Sunday, on Lola’s anniversary, once more I sang and made harmony with my longtime friend Marc, recalling last year’s moments of comfort in sadness, strength in weakness, music in tears. We hugged and talked and laughed…and sang, the old gospel songs about Heaven and hope. 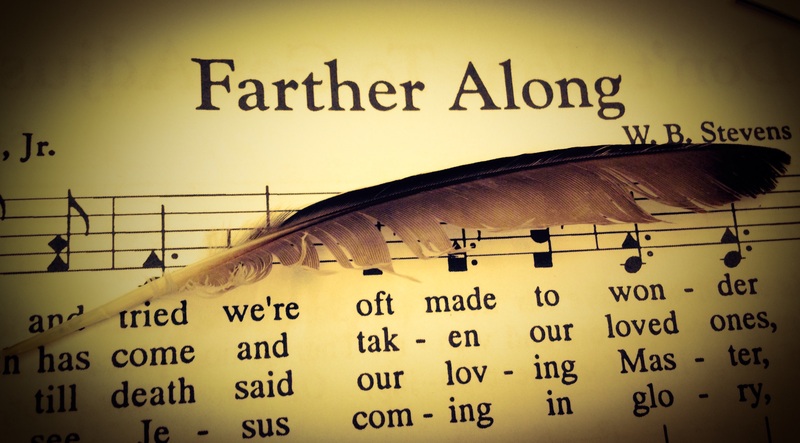 And as Marc and I left the church together, I found another feather, my first one in months. 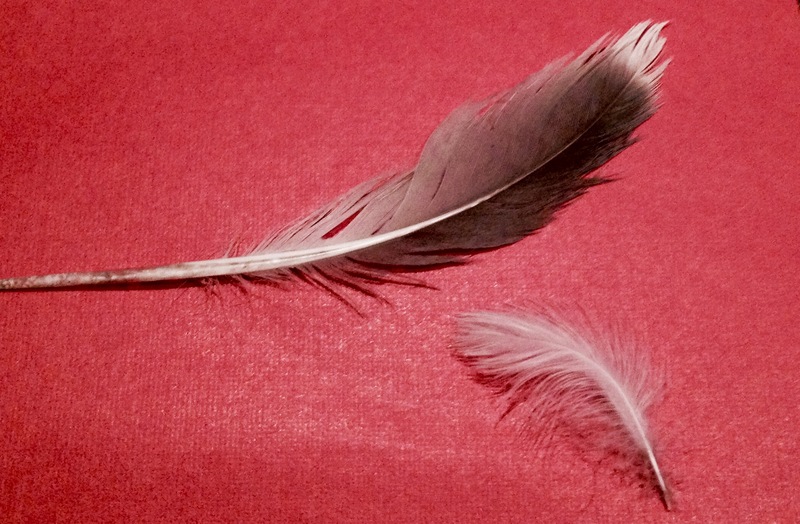 “Feather!” I exclaimed as I reached down to pick it up. Marc said, “Oh yeah…” I said it must be a Happy-First-Anniversary-In-Heaven-for-Lola feather, and he agreed. Cheer up my brother, live in the sunshine. As I sang it this past Sunday I thought of Lola, her death and her life, and how much I still don’t understand why she had to leave us so soon. 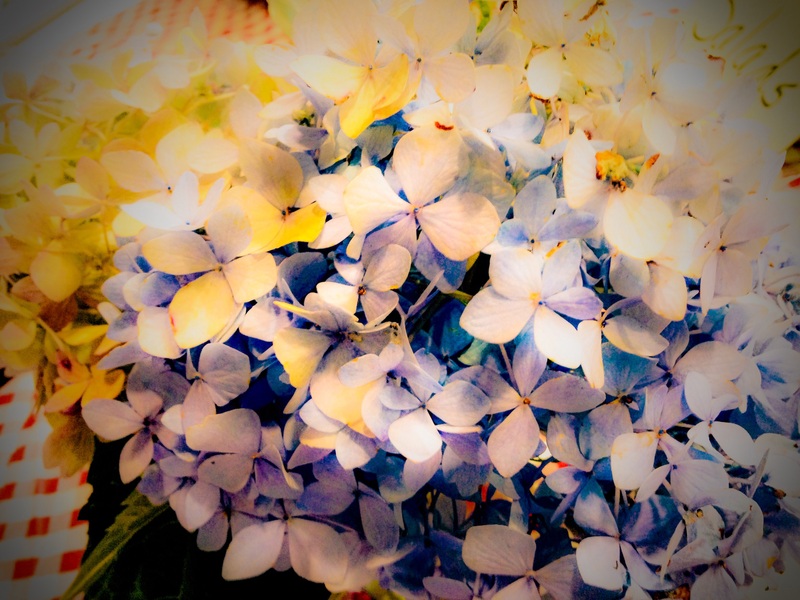 I thought about Joan and the lovely blue hydrangeas from her garden that she had brought in to decorate the tables, reminding me of the ones from Mom Cutshaw’s backyard. I thought of the almost mystical harmony that happens whenever Marc and I sing together. I thanked God for these gifts and mysteries. And once more I looked forward to that day when things I wonder about now will somehow make sense…farther along, by and by.